With an awesome morning meal at the tasty breakfast stall found next to F-Arm at the Marina. Our picks are the trusty egg and bacon rolls and their cracking coffee. It's a breakfast that will have you ship shape throughout the week. It’s the perfect way to shake off any morning-itis and get into the sailing spirit. And don’t forget the annual Bloody Mary Stall, which will be especially open again during Prix d’elegance. Kettle One vodka will add some kick to your morning preparation and be a fun way to usher in the final three days of sailing. Extra hot sauce please! Photo by Kara Rosenlund. For those that are health conscious or looking to start their day with intention, we'll hold morning yoga classes throughout the week too. 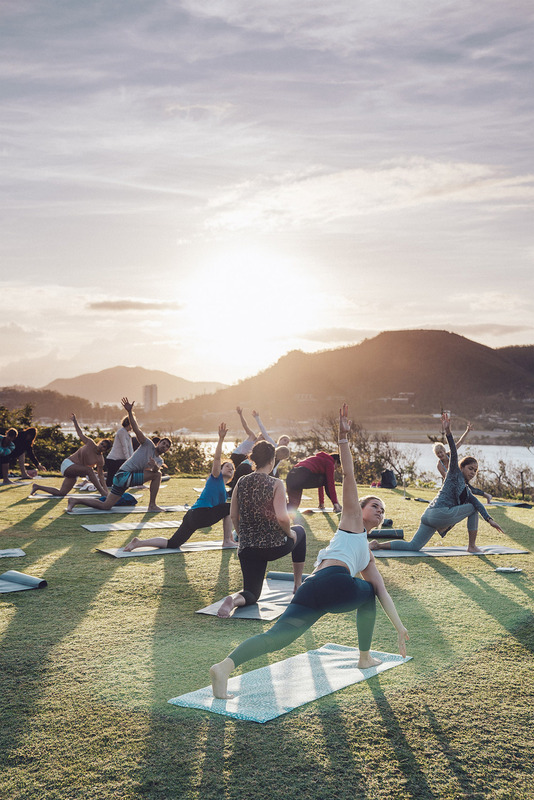 The standout session will be the class on Dent Island for sunrise yoga. Bookings can be made at the tour desk. Rise, shine, it's yoga time. Photo by Chris Benning. Beard Season ready and waiting to get you into the Skin Clinic. Photo by Ken Butti. 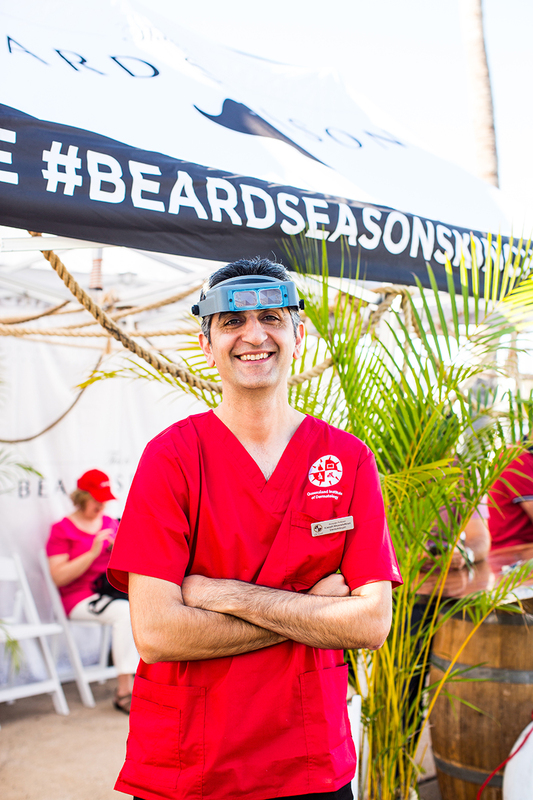 We're teaming up again with Beard Season and the Queensland Institute of Dermatology (QIDerm) to offer quick and easy skin checks, at no cost to you! Beard Season is a non-profit charity run by Jimmy Niggles Esq. A bloke you might have seen around the docks and dinners at previous race weeks. 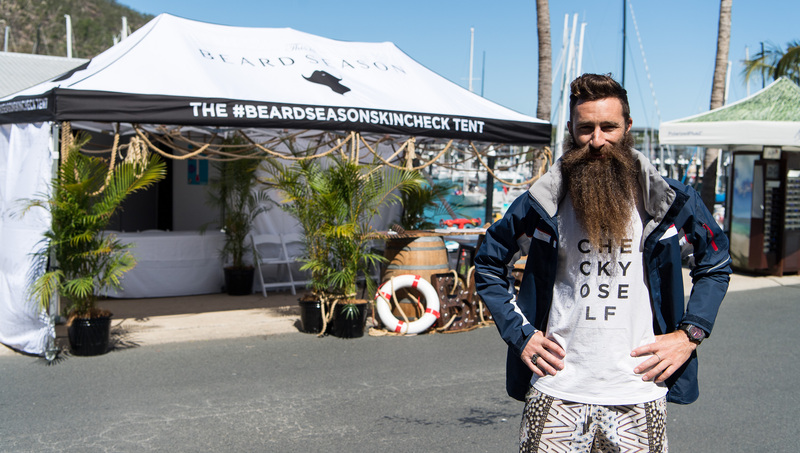 He's been growing his beard ever since his friend Wes Bonny passed away from melanoma - Australia's national cancer. Everyone he meets because of his rich mahogany neck mane he has challenged to get a skin check. To the point where Beard Season now saves an average of a life a week! So, he is absolutely thrilled to again be offering you the chance to get a check-up. Queensland Institute of Dermatology will be ensuring our sailors are checked and healthy. Photo by Kara Rosenlund. The skin checks will be conducted by QIDerm’s qualified dermatologists and take about 10-15 minutes. These kinds of expert consultations usually cost over $200 so this is a very special opportunity. Especially for sailors who spend so much time in the elements. Take it from us, it’s quick, easy to do and could save your life. Book it in now. Stunning designs on display at the Paspaley boutique. Photo by Ken Butti. 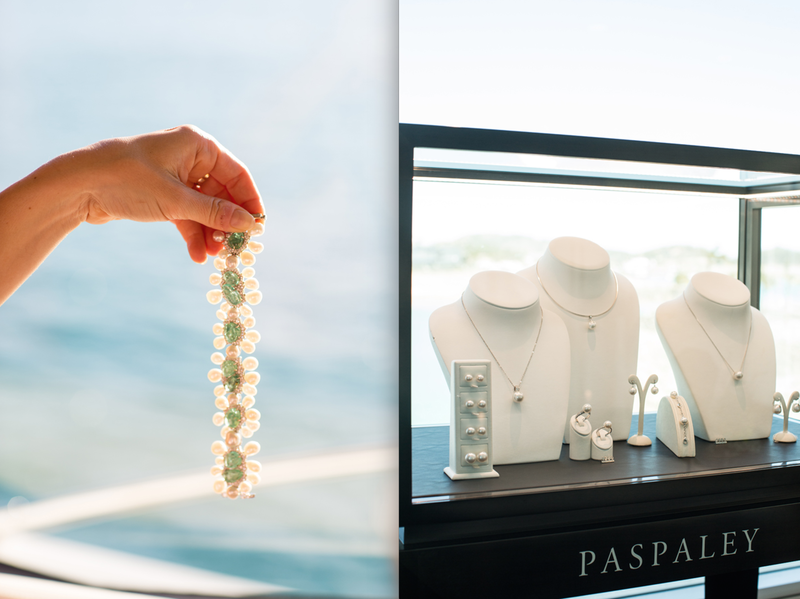 The Paspaley boutique can be visited throughout Race Week. Giving our guests the chance to acquire the world’s finest pearls. Join the daily Pearl Discovery sessions where Champagne will be served to you while you learn why Australian South Sea pearls are the world’s rarest and most valuable of all pearls. Also get exclusive access to purchase items from the latest collections. A glass of Champagne while shopping at Henri Lloyd. Photo by Ken Butti. 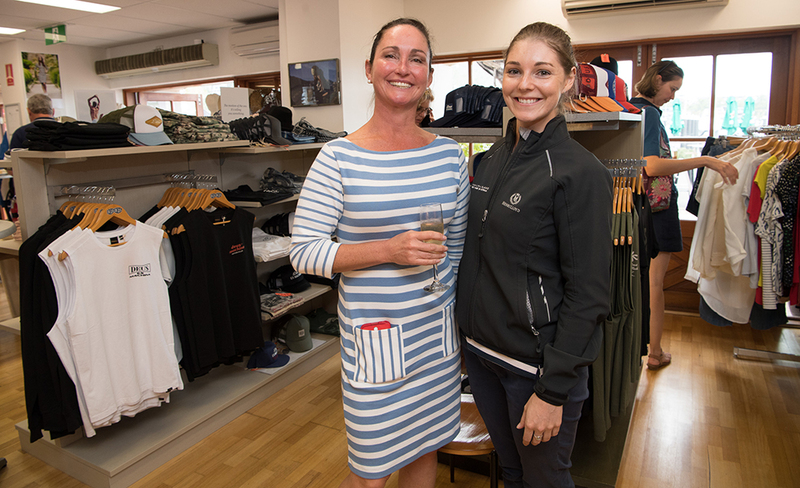 Henri Lloyd will also have their full range of clothing onsite at their Marina store. A chance to stock up on new designs and replenish your sailing essentials. Join them instore for an exclusive cocktail party and celebration of their latest range- Monday 20th August from 2:30pm. Maui Jim on display at the Pool Party. Photo by Andrea Francolini. 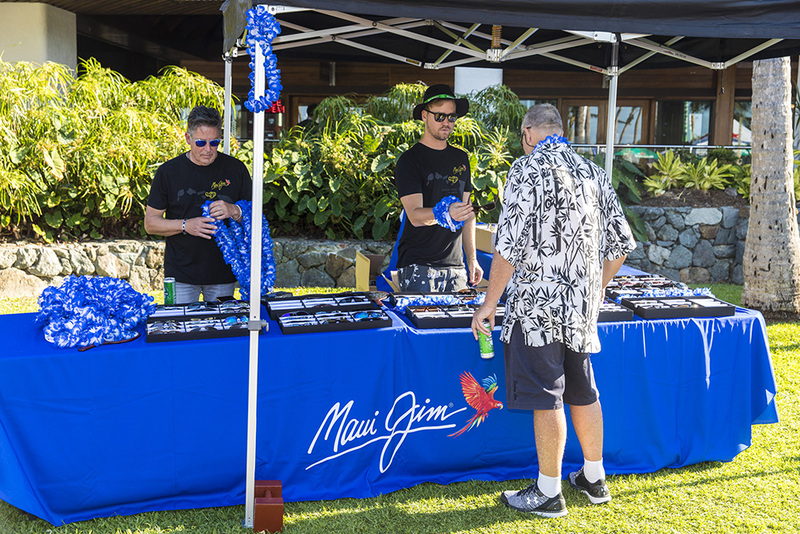 Don’t skip a visit to the Maui Jim stall. With their selection of durable, lightweight polarized sunglasses you’ll want to grab a pair for when you’re out on the water, as they allow you to see the world in truly vibrant and glare free color. As always they will have their great team on hand to find the perfect pair for you. 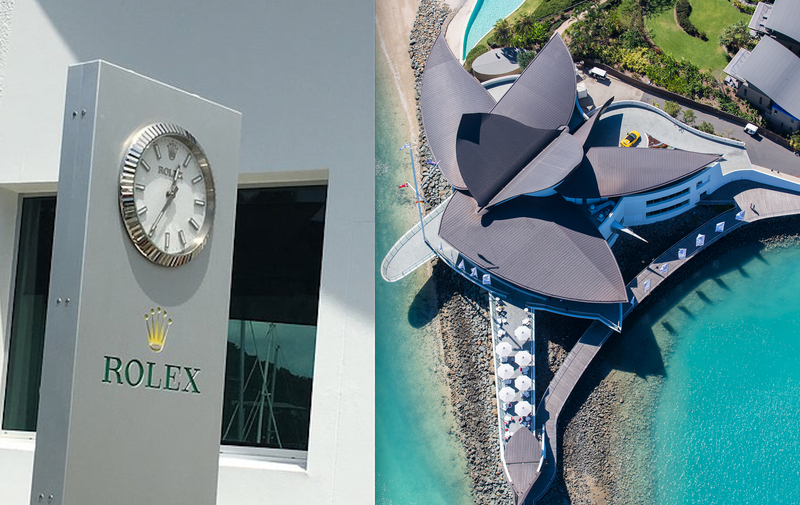 The Rolex Village will be located at the Hamilton Island Yacht Club. Photo by Andrea Francolini. This year we invite our sailing guests to relax in the Rolex Village at the Hamilton Island Yacht Club with a complimentary coffee. You’ll be able to check on the latest sailing results, watch Race Week TV and simply enjoy the view. 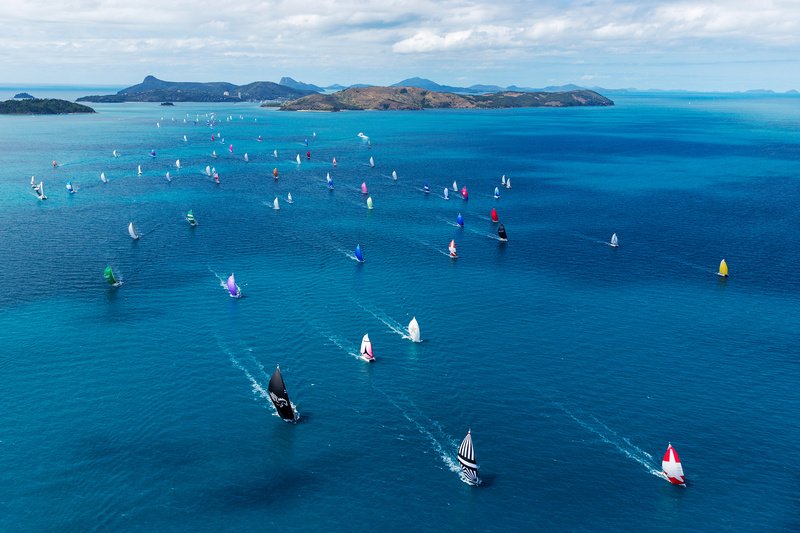 It’s never been easier to get involved in the sailing action of Hamilton Island Race Week. If you would like to get out on the water to sail for the week there are options to join crews or if you would like to watch the sailing competition on the water, there will be some fantastic spectator opportunities. The incredible fleet sailing out for a day of racing. Photo by Andrea Francolini. 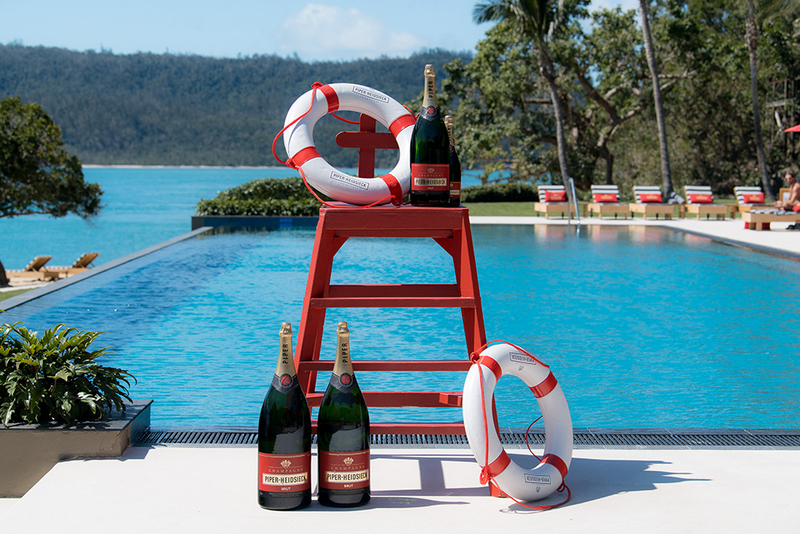 For those booking a stay at qualia with one of our Race Week accommodation packages you will have the chance to join Quantum on the water. 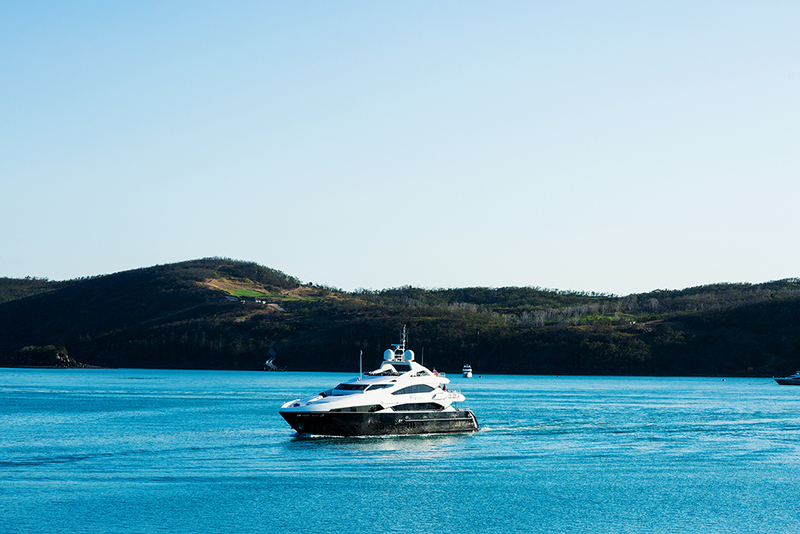 Alternatively, Alani charters will offer guests of the island the opportunity to purchase seats on board their vessel. Quantum cruises along the azure water at Race Week. Photo by Kara Rosenlund. 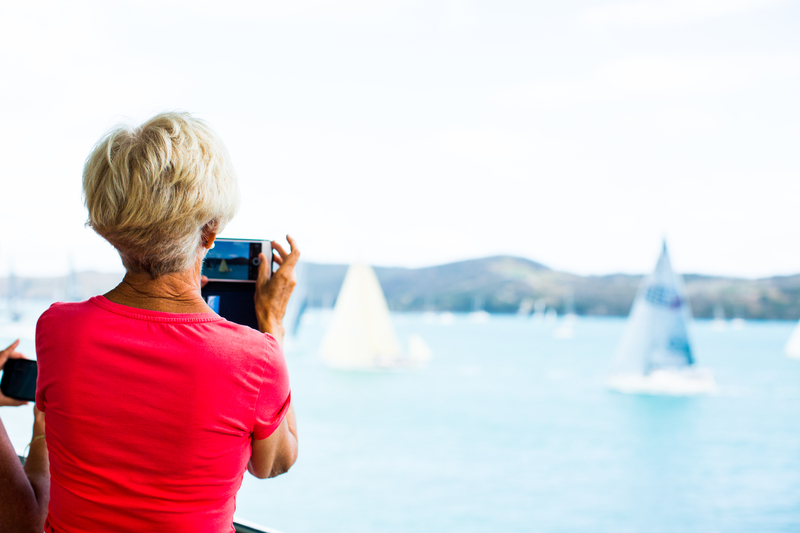 If you would prefer to stay on land there are some wonderful viewing points such as the Hamilton Island Yacht Club, One Tree Hill, Passage Peak and Catseye Beach where you can spy the sail boats whizzing by. Watching the sailing from Hamilton Island. Photo by Kara Rosenlund. At the end of each day come along to check out all the action from the day’s racing on the big screen with Club Marine’s Daily Highlights showing from 5pm at the Main Stage on Front Street. We’ll recap all the thrills and spills of the day and presentations will be made daily at 5:30pm. With over twenty events planned for the week there is something for everyone to get involved in and celebrate the sailing spirit of Race Week. 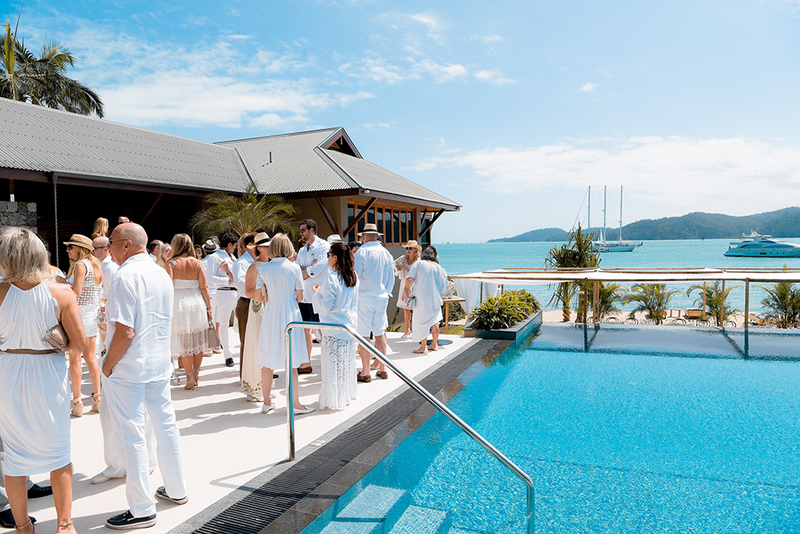 A sea of white and spectacular pearls at the Paspaley Pearl luncheon at qualia. Photo by Ken Butti. 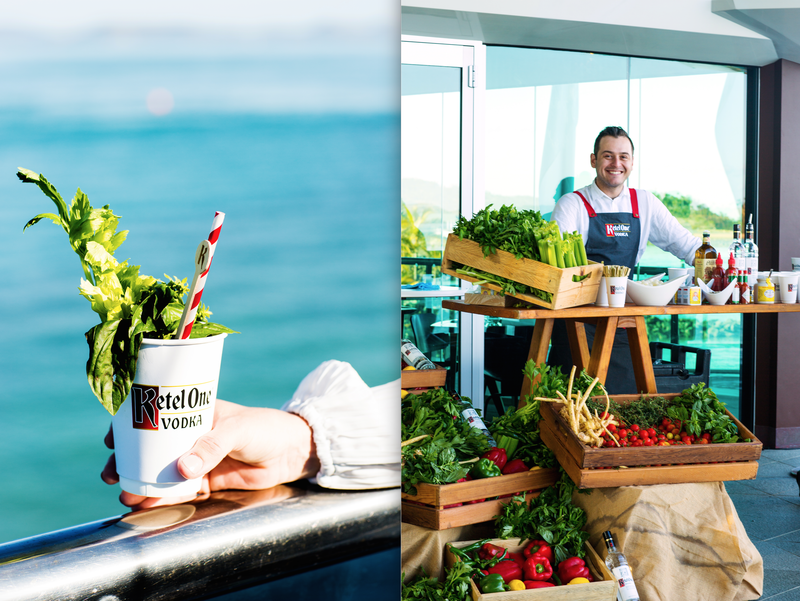 Guests joining us as part of the qualia Race Week Showcase Package will be invited to enjoy dinner by acclaimed chefs Peter Gilmore (Quay) & Lennox Hastie (Firedoor Restaurant). This dinner is a rare and exciting opportunity for an elemental dining experience at Pebble Beach, qualia. The following evening Showcase guests will partake in a dinner created by Neil Perry AM in partnership with Qantas. This will be a celebration of Australian cuisine and his most famous dishes from a selection of his best restaurants. Champagne and sunshine- A fantastic combination for lunching. Photo by Ken Butti. Our annual Wild Oats Ladies lunch, Piper Heidsieck Lunch and Paspaley Lunch will all once again be hot tickets for fun in the sun. 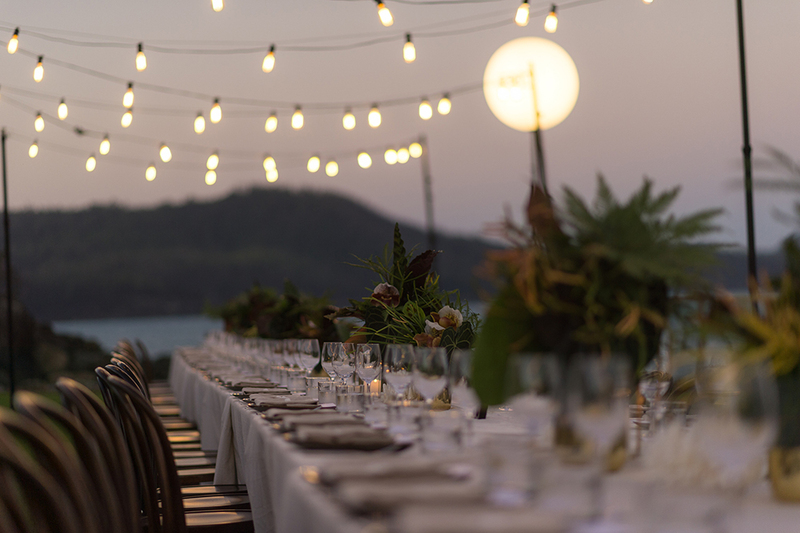 Hamilton Island makes the perfect backdrop for Race Week dinners. Photo by Ken Butti. from Fred’s. A night to taste beautifully matched beer with a specially created menu that celebrates Tasmania’s finest produce. And our premier events Surf N Turf, Club Marine Skipper's Welcome cocktail function and the HIRW Presentation Dinner will all be stand-out evenings throughout the week too. 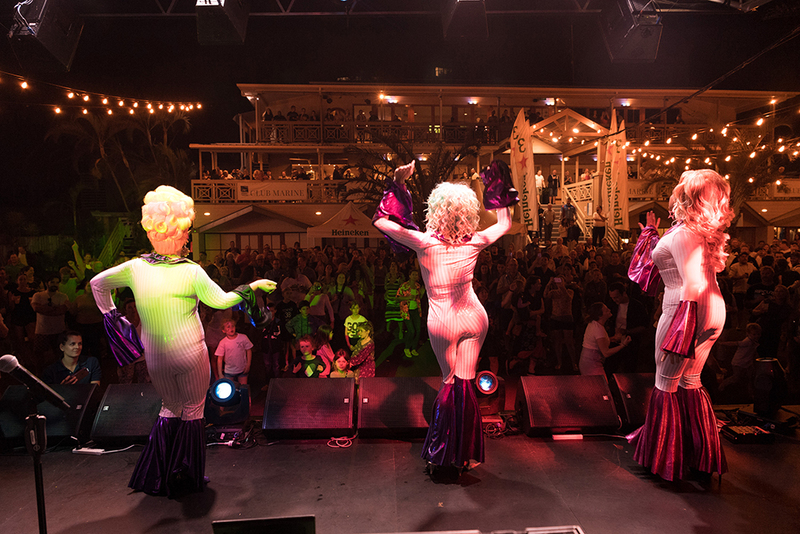 The island will be play host to outstanding live entertainment to compliment the party atmosphere and ensure a great time is had by all. Live performances get the crowd dancing at Front st each night. Photo by Ken Butti. Each night our main stage will play host to great live music acts with a huge range of talent due to perform across the week. A particular event to pencil into the calendar will be the Friday night when Furnace and the Fundamentals take to the stage. For those looking for late night entertainment we'll have DJ sets and cocktails flowing at Tanqueray Garden Bar each night as well. 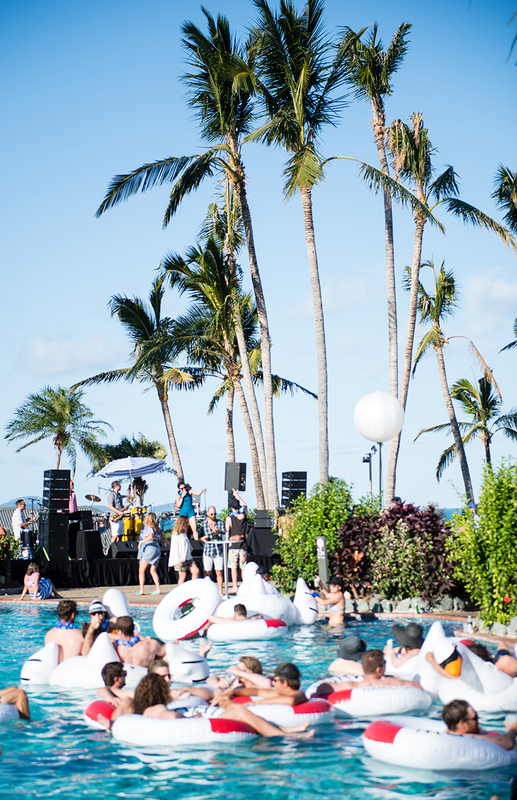 Live music at the pool with Funk 'n' Stuff and a DJ at the Summer Bright Kombie. Photo by Andrea Francolini. 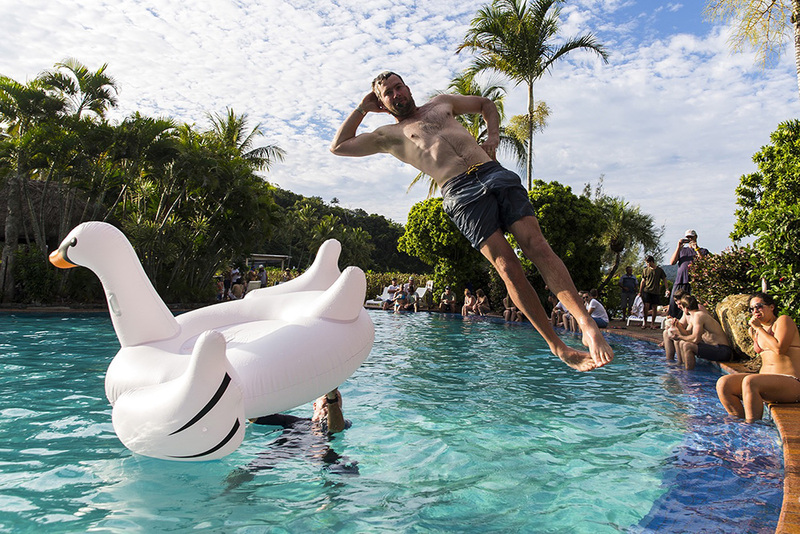 Our pool party on Wednesday (Lay-Day) will also be particularly fun this year with Summer Bright coming on board to create a killer atmosphere with live music, DJs, drinks tents and awesome food. Did we mention they will have their Summer Bright Kombie and plenty of prizes to hand out during the day? Fun in the sun at the Summer Bright Pool Party. Photo by Andrea Francolini.